Individual growth trajectories often don’t stick to statistically determined expectations. The illustration above depicts the growth trajectory of a woman named Eleanore. Between the ages 12 and 68, she completed two different developmental assessments several times. The first assessment was the LRJA, a test of reflective judgment (critical thinking), which she completed on 8 different occasions. The second assessment was the LDMA, a test of decision-making skills, which she completed four times between the ages of 42 and 68. As you can see, Eleanore has continued to develop throughout adulthood, with periods of more and less rapid growth. The graph on which Eleanore’s scores are plotted shows several potential developmental curves (A–H), representing typical developmental trajectories for individuals performing in different levels at age 10. You can tell right away that Eleanore is not behaving as expected. Over time, her scores have landed on two different curves (D & E), and she shows considerable growth in age ranges for which no growth is expected — on either curve. Eleanore, who was born in 1942, was a bright child who did well in school. By the time she graduated from high school in 1960, she was in the top 15% of her class. After attending two years of community college, she joined the workforce as a legal secretary. At 23 she married a lawyer, and at 25 she gave birth to the first of two children. During the next 15 years, while raising her her children, her scores hovered closer to curve E than curve D. When her youngest entered high school, Eleanore decided it was time to complete her bachelor of science degree, which she did, part time, over several years. During this period she grew more quickly than in the previous 10 years, and her LRJA scores began to cluster around curve D.
Sadly, shortly after completing her degree (at age 43), Eleanore learned that her mother had been diagnosed with dementia (now known as Alzheimer’s). For the next 6 years, she cared for her ailing mother, who died only a few days before Eleanore’s 50th birthday. While she cared for her mother, Eleanore learned a great deal about Alzheimer’s — from both personal experience and the extensive research she did to help ensure the best possible care for her mother. This may have contributed to the growth that occurred during this period. Following her mother’s death, Eleanore decided to build upon her knowledge of Alzheimer’s, spending the next 6 years earning a Ph.D. focused on its origins. At the time of her last assessment, she was a respected Alzheimer’s researcher. First, although statistics allow us to describe typical developmental trajectories, individual development is usually more or less atypical. Eleanore does not stay on the curve she started out on. In fact she actually drops below this curve for a time, then develops beyond it in later adulthood. She also grew during age-ranges in which no growth at all was expected. Both life events and formal education clearly influenced her developmental trajectory. Second, many people develop throughout adulthood — especially if they are involved in rich learning experiences (like formal schooling), or when they are coping productively with life crises (like reflectively supporting an ailing parent). Third, developmental spurts happen. The figure above shows a (real) growth spurt that occurred between the ages of 46 and 51. This highly motivated individual engaged in a sustained and varied learning adventure during this period — just because he wanted to build his interpersonal and leadership skills. Fourth, developmental growth can happen late in life, given the right opportunities and circumstances. The (real) woman whose scores are shown here responded to a personal life crisis by embracing it as an opportunity to learn more about herself as person and as a leader. My colleagues and I find the statistically determined growth curves shown on the figures in this article enormously useful in our research, but it’s important to keep in mind that they’re just averages. Many people can jump from one curve to another given the right learning skills and opportunities. On the other hand, these curves are associated with some constraints. For example, we’ve never seen anyone jump more than one of these curves, no matter how excellent their learning skills or opportunities have been. Unsurprisingly, nurture cannot entirely overcome nature. Growth is predicted by a number of factors. Nature is a big one. How we personally approach learning is also pretty big — with approaches that feature virtuous cycles of learning taking the lead. And, of course, our growth is influenced by how optimally the environments we live, learn, and work in support learning. Find out how we put this knowledge to work in leader development and recruitment contexts, with LAP-1 and LAP-2. Mental ability is by far the best predictor of recruitment success — across the board. * During the 20th century, aptitude tests were the mental ability metrics of choice — but this is the 21st century. The workplace has changed. Today, leaders don’t need skills for choosing the correct answer from a list. They need skills for coping with complex issues without simple right and wrong answers. Aptitude tests don’t measure these skills. Today, success in senior and executive roles is best predicted by (1) the fit between the complexity of leaders’ thinking and the complexity of their roles, (2) the clarity of their thinking in real workplace contexts, and (3) their skills for functioning in VUCA (volatile, uncertain, complex, and ambiguous) conditions. Fit-to-role — Fit-to-role is the relation between the complexity level of an individual’s reasoning and the complexity level of a given role. Good fit-to-role increases well-being, engagement, effectiveness, and productivity. Clarity — Clarity involves the degree to which an individual’s arguments are coherent and persuasive, how well their arguments are framed, and how well their ideas are connected. Individuals who think more clearly make better decisions and grow more rapidly than individuals who think less clearly. perspective coordination—determining which perspectives matter, seeking out a diversity of relevant perspectives, and bringing them together in a way that allows for the emergence of effective solutions. decision-making under complexity — employing a range of decision-making tools and skills to design effective decision-making processes for complex situations. contextual thinking — being predisposed to think contextually, being able to identify the contexts that are most likely to matter in a given situation and determine how these contexts relate to a particular situation. collaboration — understanding the value of collaboration, being equipped with the tools and skills required for collaboration, and being able to determine the level of collaboration that’s appropriate for a particular decision-making context. Getting fit-to-role right increases well-being, engagement, effectiveness, and productivity. Our approach to role fit pairs an assessment of the complexity of an individual’s thinking — when applied to a wicked real-world workplace scenario — with an analysis of the complexity of a particular workplace role. The Lectical Scores in the figure on the left represent the complexity level scores awarded to eight job candidates, based on their performances on a developmental assessment of leader decision making (LDMA). The fit-to-role score tells us how well the Lectical Score fits the complexity range of a role. Here, the complexity range of the role is 1120–1140, represented by the vertical teal band. The circles represent the Lectical Scores of candidates. The size of these circles represents the range in which the candidate’s true level of ability is likely to fall. The “sweet spot” for a new hire is generally at the bottom end of the complexity range of a role, in this case, 1120. There are two reasons for this. The sweet spot is where the challenge posed by a new role is “just right” — just difficult enough to keep an employee in flow — what we call the Goldilocks zone. Placing employees in the sweet spot increases employee satisfaction, improves performance, and optimally supports learning and development. An existing team is more likely to embrace candidates who are performing in the sweet spot. Sweet spot candidates are likely to welcome support and mentoring, which makes it easier to integrate them into an existing team than it is to integrate candidates performing at higher levels, who may be viewed as competitors. In the figure above, teal circles represent candidates whose scores are in or very near the sweet spot — fit to role is excellent. Yellow circles represent individuals demonstrating marginal fit, and red circles represent individuals demonstrating poor fit. We can use circle color to help us figure out who should advance to the next level in a recruitment process. Based on the results shown above, it’s easy to decide who will advance to the next step in this process. Red circles mean, “This person is a poor fit to the complexity demands of this role.” Therefore, candidates with red circles should be eliminated from consideration for this role. Celia, Amar, Chilemba, and Jae-Eun, just don’t fit. However, this does not mean that these candidates should be ignored. Every single one of the eliminated candidates has high or acceptable Clarity and VUCA scores. So, despite the fact that they did not fit this role, each one may be good fit for a different role in the organization. It’s also worth noting that Jae-Eun demonstrates a level of skill — across measures — that’s relatively rare. When you identify a candidate with mental skills this good, it’s worth seeing if there is some way your organization can leverage these skills. The first cut left us with 4 candidates that met basic fit-to-role qualifications, Jewel, YiYu, Alistair, and Martin. The next step is to find out if their Clarity and VUCA scores are good enough for this role. Below, you can see how we have interpreted the Clarity and VUCA scores for each of the remaining candidates, and made recommendations based on these interpretations. Notice that YiYu and Alistair are recommended with reservations. It will be important to take these reservations into account during next steps in the recruitment process. Let’s assume that, Jewel, YiYu, and Alistair move to the next step in the recruitment process. Once the number of candidates has been winnowed down to this point, it’s a good time to administer personality or culture fit assessments, conduct team evaluations, view candidate presentations, or conduct interviews. You already know the candidates are equipped with adequate to excellent mental skills and fit-to-role. 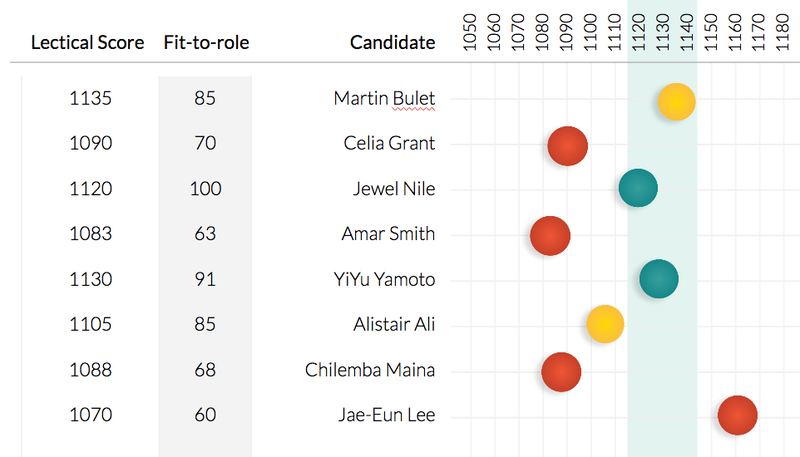 From here, it’s all about which candidate you think is likely to fit in to your team. As soon as we have it, my colleagues and I either publish our reliability and validity evidence in refereed journals or conference presentations or present them on our web site. We believe in total transparency regarding the validity and reliability of all assessments employed in the workplace. *Schmidt, F. L., Oh, I.-S., & Shaffer, J. A. (2016). Working paper: The validity and utility of selection methods in personnel psychology: Practical and theoretical implications of 100 years of research findings. How complex are the interview responses of the last four Australian prime ministers? How does the complexity of their responses compare to the complexity of the U.S. presidents’ responses? Special thanks to my Australian colleague, Aiden M. A. Thornton, PhD. Cand., for his editorial and research assistance. This is the 4th in a series of articles on the complexity of national leaders’ thinking, as measured with CLAS, a newly validated electronic developmental scoring system. This article will make more sense if you begin with the first article in the series. I am an educational researcher and the CEO of a nonprofit that specializes in measuring the complexity level of people’s thinking skills and supporting the development of their capacity to work with complexity. The complexity level of leaders’ thinking is one of the strongest predictors of leader advancement and success. See the National Leaders Intro for evidence. Many of the issues faced by national leaders require principles thinking (level 12 on the skill scale/LecticalScale), illustrated in the figure below). See the National Leaders Intro for the rationale. To accurately measure the complexity level of someone’s thinking (on a given topic), we need examples of their best thinking. In this case, that kind of evidence wasn’t available. As an alternative, my colleagues and I have chosen to examine the complexity level of prime ministers’ responses to interviews with prominent journalists. were either conducted within the Prime Minister’s first year in office or were the earliest interviews we could locate that met the first two criteria. As noted in the introductory article of this series, we do not imagine that the responses provided in these interviews necessarily represent competence. It is common knowledge* that prime ministers and other leaders typically attempt to tailor messages to their audiences, so even when responding to interview questions, they may not show off their own best thinking. Media also tailor writing for their audiences, so to get a sense of what a typical complexity level target for top media might be, we used CLAS to score 11 articles from Australian news media on topics similar to those discussed by the four presidents in their interviews. We selected these articles at random—literally selecting the first ones that came to hand—from recent issues of the Canberra Times, The Age, the Sydney Morning Herald, and Adelaide Now. Articles from all of these newspapers landed in the lower range of the early systems thinking zone, with a mean score of 1109 (15 points lower than the mean for the U.S. media sample) and a range of 45 points. Based on the mean media score, and understanding that politicians generally attempt, like media, to tailor messages for their audience, we hypothesized that prime ministers would aim for a similar range. Since the mean score for the Australian media sample was lower by 15 points than the mean score for the U. S. media sample, we anticipated that the average score received by Australian prime ministers would be a bit lower than the average score received by U. S. presidents. 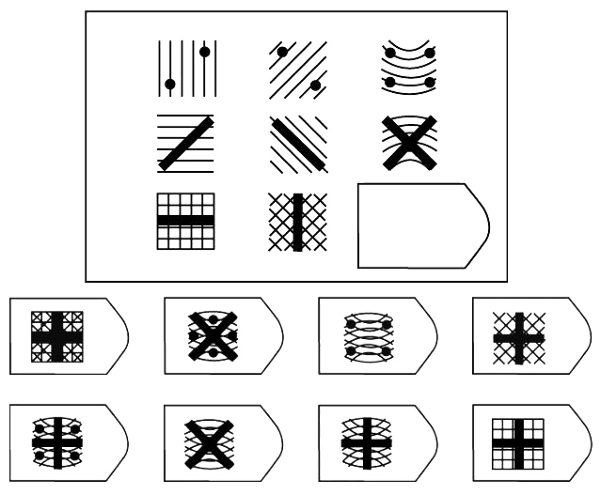 The Table below shows the complexity scores received by the four prime ministers. (Contact us if you would like a copy of the interviews.) Complexity level scores are shown in the same order as interview listings. All of the scores received by Australian prime ministers fell well below the complexity level of many of the problems faced by national leaders. Although we cannot assume that the interview responses we scored are representative of these leaders’ best thinking, we can assert that we can see no evidence in these interviews that these prime ministers have the capacity to grasp the full complexity of many of the issues they faced (or are currently facing) in office. Instead, their scores suggest levels of skill that are more appropriate for mid- to upper-level managers in large organizations. There was less variation in the complexity scores of Australian prime ministers than in the complexity scores of U. S. presidents. Mean scores for the U. S. presidents ranged from 1054–1163 (109 points), whereas the range for Australian prime ministers was 1111–1133 (22 points). If we exclude President Trump as an extreme outlier, the mean score for U. S. Presidents was 12 points higher than for Australian prime ministers. You may notice that the scores of two of the prime ministers who received a score of 1133 on their first interview, had dropped by the time of their third interview. This is reminiscent of the pattern we observed for President Obama. The mean score for all four prime ministers was 14 points higher than the mean for sampled media. Interestingly, if we exclude President Trump as an extreme outlier, the difference between the average score received by U. S. presidents is almost identical at 13 points. Almost all of the difference between the mean scores of prime ministers and presidents (excluding President Trump) could be explained by media scores. The sample sizes here are too small to support a statistical analysis, but once we have conducted our analyses of the British and Canadian prime ministers, we will be able to examine these trends statistically—and find out if they look like more than a coincidence. What is the relation between the complexity level of National Leaders’ interview responses and the complexity level of respected media? So far, we have learned that when national leaders explain their positions on complex issues, they do not — with the possible exception of President Obama — demonstrate that they are capable of grasping the full complexity of these issues. On average, their explanations do not rise to the mean level demonstrated by executive leaders in Lectica’s database. We have also learned that when national leaders explained their positions on complex issues to the press, their explanations were 13–14 points higher on the Lectical Scale than the average complexity level of sampled media articles. We will be following this possible trend in upcoming articles about the British and Canadian leaders. Interestingly, the Lectical Scores of two prime ministers whose average scores were above the media average dropped closer to the media average in their third interviews. We observed the same pattern for President Obama. It’s too soon to declare this to be a trend, but we’ll be watching. As noted in the article about the thinking of U. S. presidents, the world needs leaders who understand and can work with highly complex issues, and particularly in democracies, we also need leaders whose messages are accessible to the general public. Unfortunately, the drive toward accessibility seems to have led to a situation in which candidates are persuaded to simplify their messages, leaving voters with one less way to evaluate the competence of our future leaders. How are we to differentiate between candidates whose capacity to comprehend complex issues is only as complex as that of a mid-level manager and candidates who have a high capacity to comprehend and work with these issues but feel compelled to simplify their messages? And in a world in which people increasingly seem to believe that one opinion is as good as any other, how do we convince voters of the critical importance of complex thinking and the expertise it represents? *The speeches of presidents are generally written to be accessible to a middle school audience. The metrics used to determine reading level are not measures of complexity level. They are measures of sentence, word length, and sometimes the commonness of words. For more on reading level see: How to interpret reading level scores. How well does the thinking of recent US Presidents stand up to the complexity of issues faced in their role? This is the second in a series of articles on the complexity of national leaders’ thinking, as measured with CLAS, a newly validated electronic developmental scoring system. This article will make more sense if you begin with the first article in the series. Just in case you choose not to read or revisit the first article, here are a few things to keep in mind. I am an educational researcher and the CEO of a nonprofit that specializes in measuring the complexity level of people’s thinking and supporting the development of their capacity to work with complexity. The complexity level of leaders’ thinking is one of the strongest predictors of leader advancement and success. Many of the issues faced by national leaders require principles thinking (level 12 on the skill scale, illustrated in the figure below). To accurately measure the complexity level of someone’s thinking (on a given topic), we need examples of their best thinking. In this case, that kind of evidence wasn’t available. As an alternative, my colleagues and I have chosen to examine the complexity level of Presidents’ responses to interviews with prominent journalists. were either conducted within the president’s first year in office or were the earliest interviews we could locate that met the first two criteria. As noted in the introductory article of this series, we do not imagine that the responses provided in these interviews necessarily represent competence. It is common knowledge* that presidents and other leaders typically attempt to tailor messages for their audiences, so even when responding to interview questions, they may not show off their own best thinking. 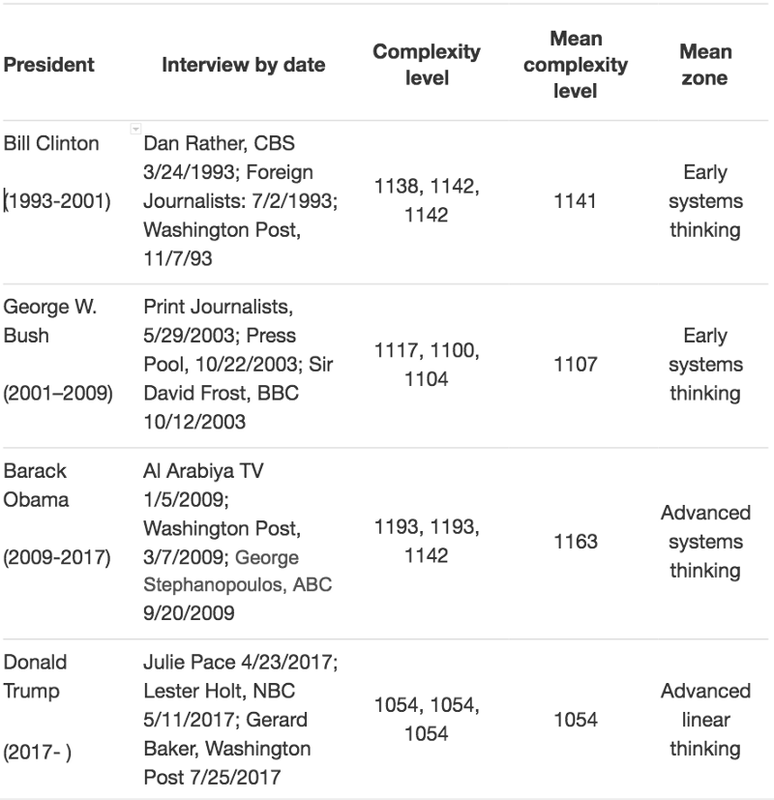 Media also tailor writing for their audiences, so to get a sense of what a typical complexity level target for top media might be, we used CLAS to score 11 articles on topics similar to those discussed by the four presidents in their interviews. We selected these articles at random — literally selecting the first ones that came to hand — from recent issues of the New York Times, Guardian, Washington Post, and Wall Street Journal. Articles from all of these newspapers landed in the middle range of the early systems thinking zone, with an average score of 1124. Based on this information, and understanding that presidents generally attempt to tailor messages for their audience, we hypothesized that presidents would aim for a similar range. Obama also demonstrated some of the other qualities required for working well with complexity, such as skills for perspective seeking and perspective coordination, and familiarity with tools for working with complexity—but that’s another story. In addition to addressing the two questions posed in the first article of this series, we were able to ask if these U. S. presidents seemed to tailor the complexity level of their interview responses for the audiences of the media outlets represented by journalists conducting the interviews. First, the responses of presidents Bush and Clinton were in the same zone as a set of articles collected from these media outlets. Of course, we can’t be sure the alignment was intentional. There are other plausible explanations, including the possibility that what we witnessed was their best thinking. In contrast, however, President Trump’s responses were well below the zone of the selected articles, making it difficult to argue that he was tailoring his responses for their audiences. Individuals whose thinking is complex are likely to find thinking at lower levels of complexity simplistic and unsatisfying. Delivering a message that is likely to lead to judgments of this kind does not seem like a rational tactic — especially for a politician. It seems more plausible that President Trump was demonstrating his best thinking about the issues raised in his interviews. If so, his best would be far below the complexity level of most issues faced in his role. Indeed, individuals performing in the advanced linear thinking zone would not even be aware of the complexity inherent in many of the issues faced daily by national leaders. President Obama confronted a different challenge. The complexity of thinking evident in his early interviews was very high. Even though, as with Bush and Clinton, it isn’t possible to say we witnessed Obama’s best thinking, we would argue that what we saw of President Obama’s thinking in his first two interviews was a reasonable fit to the complexity of the challenges in his role. However, it appears that Obama soon learned that in order to communicate effectively with citizens, he needed to make his communications more accessible. In the results reported here, Democrats scored higher than Republicans. We have no reason to believe that conservative thinking is inherently less complex than liberal thinking. In fact, in the past, we have identified highly complex thinking in both conservative and liberal leaders. We need leaders who can cope with highly complex issues, and particularly in a democracy, we also need leaders we can understand. President Obama showed himself to be a complex thinker, but he struggled with making his communications accessible. President Trump’s message is accessible, but our results suggest that he may not even be aware of the complexity of many issues faced in his role. Is it inevitable that the tension between complexity and accessibility will sometimes lead us to “hire” national leaders who are easy to understand, but lack the ability to work with complexity? And how can we even know if a leader is equipped with the thinking complexity that’s required if candidates routinely simplify communications for their audience? Given our increasingly volatile and complex world, these are questions that cry out for answers. We don’t have these answers, and we’ve intentionally resisted going deeper into the implications of these findings. Instead, we’re hoping to stimulate discussion around our questions and the implications that arise from the findings presented here. Please feel free to chime in or contact us to further the conversation. And stay tuned. The Australian Prime Ministers are next! *The speeches of presidents are generally written to be accessible to a middle school audience. The metrics used to determine reading level are not measures of complexity level, but reading level scores are moderately correlated with complexity level. I've just added a new video about the evolution of adult developmental metrics to YouTube and LecticaLive. It traces the evolutionary history of Lectica's developmental model and metric. If you are curious about the origins of our work, this video is a great place to start. If you'd like to see the reference list for this video, view it on LecticaLive.